"I believe that it will all work out somehow... "
"I believe that it will all work out somehow," he said. The girl kept her gaze down, her fingers curled around the crook of his arm. "I don’t know. Even if it will, probably not the way I want it." "What way do you want it?" "I don’t know," she said. "But it will work out the way you want it." "And you wouldn’t like that." "We can go anywhere," she said. She saw a Spanish-style bar out of the corner of her eye. She felt sweat trickling down her temples and nape. "It’s awfully hot and muggy." They ordered beers at the bar. He insisted she have a soda, but she said this would be the last beer. He sighed and paid. The street was already shrouded by the navy of the evening. Across the street were a poorly lit drinking establishment, and a duplex no one seemed to live in. "Where can we go?" he asked. "Anywhere you want," she said, trying not to frown as nausea crawled its way up to her chest. "And anywhere you want," he said, and kissed her on the temple to taste the sweat. His left hand on the back of her neck was moist, and felt comfortably warm. "There are many places just the three of us can go. 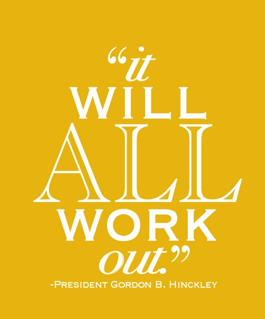 It will work out the way we all like it."